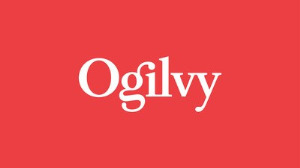 Ogilvy and its clients won in the following categories: Mobile, CRM, Loyalty programmes, Gamification, Content Strategy, Online video and Social Media. The Bookmark Awards is an initiative by the IAB (Interactive Advertising Bureau of South Africa) to celebrate excellence in digital and acknowledge the impact digital campaigns can have on the overall marketing mix. "The whole launch was a labour of love and an amazing success. To be recognised is the icing on the cake. As a brand, this is the type of marketing we want to do more of; marketing that effectively reaches specific audiences where they play but also adds value rather than just being more noise in an already cluttered environment," says Meredith Kelly, head of marketing: Volkswagen Passenger Vehicles. "My team and I are delighted to receive the Gold and Silver Pixels at Bookmarks. We’ve enjoyed a great response from consumers for this work and the added accolade is wonderful to receive. It’s the result of a great idea backed by a strong insight, that came from a close partnership between ourselves and Ogilvy," says Dhruv Kaul, CMO of KFC. "These awards help set the benchmark for tech, digital and leading-edge innovation. But above all, they celebrate ‘work that works’. Work that has a true, measurable impact on the modern consumer. So we’re extremely proud with our continued performance at these awards and to see our largest campaigns of the year, for our largest brands, stand out against the important benchmark of delivering high impact," says Ogilvy CCO Pete Case. "Despite a few close second places in the past, this is our first Gold Award at Bookmarks. It’s a great testament to the amazing work of our joint internal and agency teams. The winning campaign not only managed to engage the country at scale through gamification but also helped record unprecedented levels of loyalty and sales for our brand," adds Lana Strydom, head of digital for Vodacom. "Wow, three Bookmarks for three different campaigns. We’ve enjoyed an unprecedented year of recognition for our brand. Together with our agency, we’ve set a new benchmark for what’s possible when true collaboration occurs," concludes Grant Pereira, brand director for Carling Black Label.